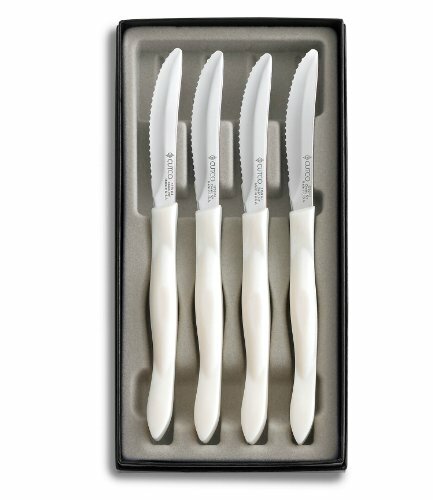 The Table Knife is an ideal choice even if steak isn't on the menu - cut salads, spread butter and more with this long admired member of the CUTCO line. Exclusive Double-D® edge 440A High-Carbon, Stainless Steel. Blade Length 3-3/8"
Highly engineered thermo-resin ergonomic handle will not crack, chip, fade or absorb material.